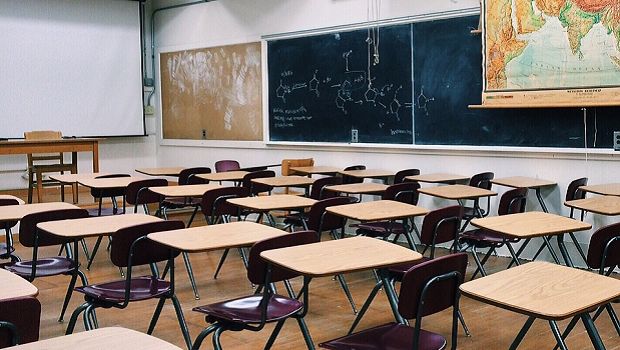 Despite the potential for innovative uses of data to dramatically transform K-12 education in the United States for the better, time and time again, promising efforts to improve how the education system uses data are met with contentious opposition. Parents understandably value the privacy of their children and thus are sensitive to programs that collect and analyze student data. On the other hand, nonprofits, education researchers, and education technology firms rely on data collected inside and outside the classroom to develop and improve educational products and services, enable teachers to personalize lessons, help school administrators make more informed decisions, and increase student achievement. All too often, many education stakeholders falsely portray these two objectives as mutually exclusive and insinuate that if the education system is going to explore data-driven innovation, it will sacrifice student privacy. Ringing privacy alarm bells is a compelling call to action for parents concerned about the wellbeing of their children, and this concern can translate into powerful advocacy efforts. Recognizing this, some advocacy groups have very effectively wielded parent-driven outrage to sabotage benign and beneficial data-driven efforts to improve education, in the name of protecting privacy. Unless policymakers and parents alike recognize and avoid succumbing this tactic, innovation in the U.S. education system will stagnate and students will be worse off for it. In other cases, groups have raised the privacy alarm to sabotage data-driven education reform for less self-serving, yet equally disingenuous reasons. For example, efforts to improve education data infrastructure, particularly statewide longitudinal data systems (SLDSs)—databases that track student records over time—by linking it across states or by creating a centralized federal system have been sandbagged by groups raising fictitious privacy fears (e.g. falsely claiming that creating a federal database creates more privacy risk than 50 state systems), when in reality this advocacy is borne out of opposition to what they perceive to be increases in federal control over state education systems. As a result of these efforts, led by groups such as the Home School Legal Defense Association and advocates devoted to portraying Common Core as a nefarious federal power grab, the federal government is legally prohibited from establishing such a system. None of this is to suggest that parents and policymakers should not be concerned about student privacy when legitimate misuses of data arise. However, it is crucial that those concerned about student privacy recognize when they are being misled and their outrage exploited to support an unrelated political agenda. According to a survey from the Future of Privacy Forum, only one in five parents understand how federal laws restrict how schools and companies can use student data and protect student privacy, approximately the same proportion are aware that such laws exist, but do not know the restrictions they impose, and just about 50 percent of parents do not know anything about federal laws that restrict how student data can be used. And yet, 57 percent of parents support the creation of new laws to address concerns about the responsible handling of student data. These concerns, combined with a lack of understanding about existing privacy protections, make parents particularly susceptible to these tactics. It is incumbent on policymakers and educators alike to help education parents on these existing privacy protections and focus on highlighting the potential for data to improve the education system, rather than harm it, to inoculate them against groups that would exploit their fears for gain. * Author’s note: This bill has been so problematic for Connecticut schools that policymakers passed legislation on June 20, 2017, to repeal it.